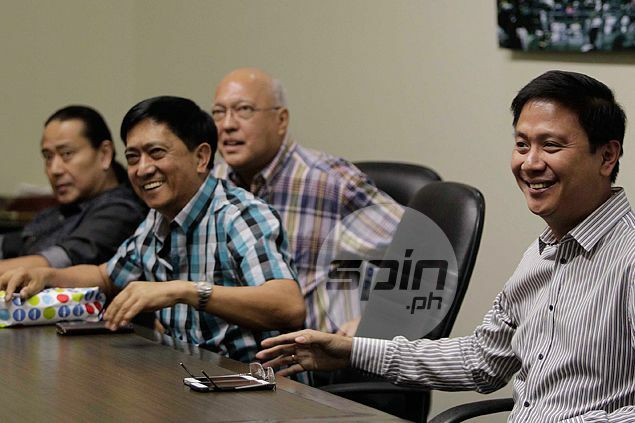 IN its commitment to give way to the training and preparation of Gilas Pilipinas for the qualifier of the Rio de Janeiro Olympics, the PBA is facing a year-long season that kicks off on Sunday and is expected to stretch all the way to October next year. With Olympic wildcard qualifier to be played from July 4 to 10, the midseason Commissioner's Cup will likely be stretched to May while the season-ending Governors Cup will only start at end of the qualifiers and won't be over until the second week of October. Under the set-up, PBA deputy executive commissioner Rickie Santos said the 2016-2017 season won't begin until mid-November. “Going by that schedule, the next season should start either by mid-November just like in 2013,” said the longtime league executive, referring to the same late start the league had during its 39th season when the country hosted the Fiba Asia Championship. The mid-season Commissioner’s Cup starts in February and likely ends at the last week of May, after which, according to Santos, the season takes a break to give way for Gilas’ campaign to the qualifier. The new season of Asia's first ever play-for-pay league kicks off on October 18 at the Smart Araneta Coliseum. On Tuesday, the league board released the names of 17 players it made available to the national pool, from where a 12-man team will be culled to compete in the July 4-10 qualifier for the Rio Games. The adjustment of league schedule and the lending of players the Samahang Basketbol ng Pilipinas (SBP) wanted to be included in the Gilas pool are two of the major commitments the PBA board had extended to the country’s cage body. “Di pa natin alam kung ano pa yung requirements sa amin, but right now the full commitment of the teams to lend their players (to the national team) is our focus and the re-scheduling of our season,” said board chairman Robert Non.